For courses in Giftedness, and Gifted/Talented Education. 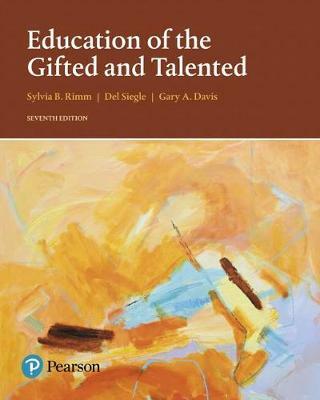 Practical strategies and the latest research on critical topics and on best practices make Education of the Gifted and Talented an indispensable resource for those who work or will work with gifted students. The content is supported and enhanced by the inclusion of practical strategies that can be implemented in the classroom, case studies that help teachers identify student needs, and summaries of research on effective programs. Emphasis is placed on pedagogy and on social-emotional needs, and the title includes a heightened awareness of less visible sub-groups within gifted populations. The 7th Edition features new directions, new programs, thoroughly updated topics, and current research to keep readers on top of the latest advances in the field.